Germans are good engineers, always serious about their work and have little or no fun (and hence boring). Audi is German. But their cars are good. The adverts for their car though, well they are a bit weird. We were pretty speechless too when we saw the video. This is how the RS3 was born is what Audi is trying to tell us. Audi is also trying to convey that the cars are similar to each other, which in truth they are not. But the fact that Audi is put in everything it learnt from building the R8 into the RS3. The Audi RS3 uses a 2.5 liter 5-cylinder engine which produces 362 bhp and 465 Nm of torque: monstrous for a car this size. The 7-speed automatic gearbox from the VW stable is the only one on offer. No manual is offered, even as an option. 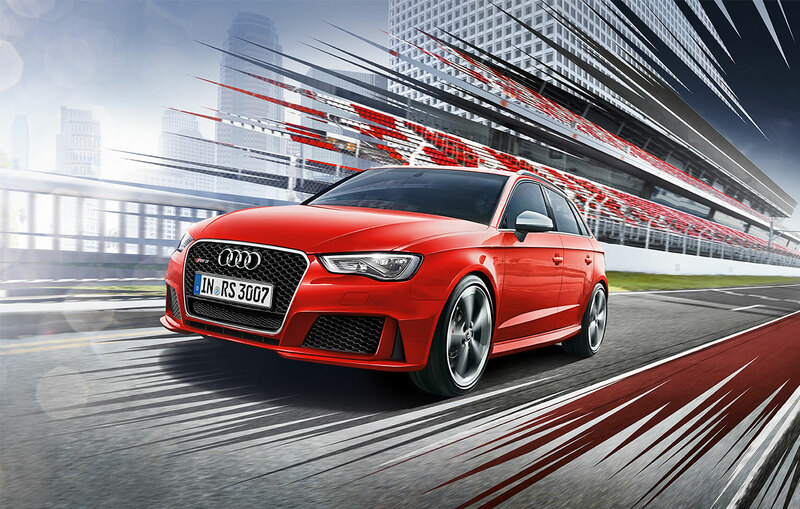 The RS3 will complete 0-100kmph in just 4.3 seconds and is electronically limited to 250 kmph. The top whack can be raised to 280 kmph by paying for an options pack to Audi. Do let us know what do you think of this weird Audi “birthing” video below. 2016 Audi A4 makes you feel like Tony Stark of Ironman! BMW, Where are 2 ?